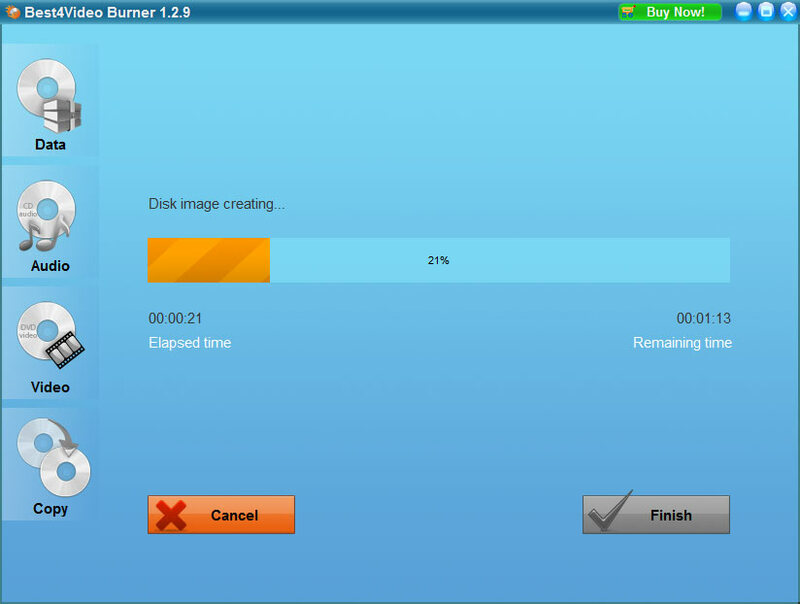 Best4Video Burner is a potent versatile software able to create DVDs and CDs with various content quickly and easily. With its help you will be able to burn data, music, and video to DVD or CD depending on your preferences, as well as make copies of your disks. It supports all popular video formats, allowing to burn DVDs from AVI, WMV, MPEG, MOV, and other video files. Clear interface of the program provides a straightforward access to all its features, making Best4Video Burner extremely easy to use. You will be able to burn your DVD with just a couple of mouse clicks, and due to the high burning speed you will not spend much time for it. With Best4Video Burner you will enjoy perfect quality DVDs with minimum time and effort expenditure. 1Step DVD Copy is a complete solution for ripping, copying and backing up DVDs. Backup all your DVD video to your PC or DVD disks. Copy DVDs to your portable media like iPod or iPhone or rip them to DivX format. Burns data, video, and audio DVDs and CDs. Regardless of the content type, you will receive perfect quality DVD or CD. Burns both DVD 5 and DVD9. Create either single-layer or dual-layer DVDs according to your needs. Video: AVI, MPEG, MOV, WMV, ASF, etc. Audio: MP3, WMA, WAV, etc. Creates 1:1 copies of DVDs and CDs. 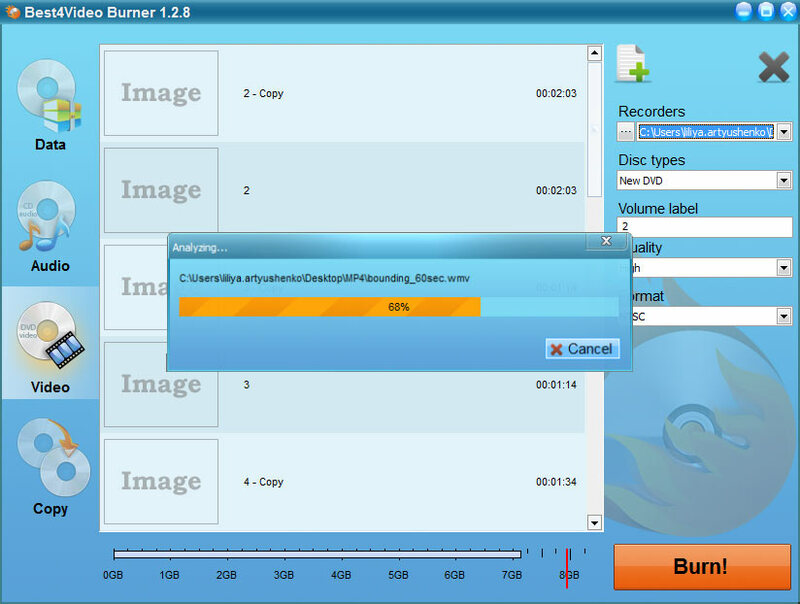 Use Best4Video Burner to create copies of your discs and stop worrying about their loss or damage. High performance capabilities. All discs regardless of their size or content type are burned with high speed and perfect quality. User friendly interface. Clear and handy interface of Best4Video Burner provides an easy access to all its features which makes it very convenient to use. Best4Video Burner will be a perfect solution for those who are looking for a simple, convenient, and reliable way to burn DVDs and CDs of perfect quality. Need to convert your original video to the video format convenient for iPod, iPhone or iPad? In this case you need to Rip DVD using a powerful tool - Use4video DVD Ripper Tool.